Respondent :- State Of U.P. And 4 Ors. Respondent :- State Of U.P. And 2 Ors. Respondent :- State Of U.P. And 5 Ors. 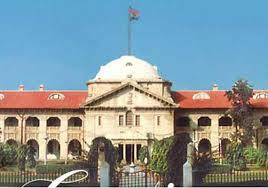 Petitioner :- Uma Shankar Mishra & 2 Ors. 1.Heard learned counsel for the parties. 2.In the present bunch of petitions, the petitioners are working as Assistant Teachers or, as the case may be, Head Masters of primary institutions recognized and aided or conducted and managed by the Uttar Pradesh Basic Education Board at Allahabad. In some of the petitions the petitioners are working in the institutions which are recognized under the Intermediate Education Act, 1921 (hereinafter referred as "Act of 1921") and Regulations framed thereunder and either managed by the Board or working in the recognized and aided colleges, as such they entitled for drawing salary from the State Exchequer. Another category of petitioners is where they are enjoying the benefit of extension of service being national or state awardee. 3.In the present bunch of petitions, the petitioners involved are whose date of birth is falling between 2.4.1953 to 1.7.1953 where the age of superannuation is 62 years and whose date of birth is falling between 2.4.1955 to 1.7.1955 where the age of superannuation is 60 years and national or state awardees as noted above. The claim of the petitioners in this bunch of petitions is that they are entitled to continue in service till the end of academic session i.e. 31.3.2016 as their date of superannuation is falling in mid-academic session i.e. 1.4.2015 to 31.3.2016. In some of the petitions, some of the petitioners are the teachers, whose date of birth is falling prior to 31st March and thus have attained the age of superannuation prior to 1st April. 4.The leading petition is related to the institution governed by the provisions of U.P. Basic Education Act, 1972 (hereinafter referred as "Act of 1972") and U.P. Basic Education Teachers Service Rules, 1981 (hereinafter referred as "Rules of 1981"). 5.Earlier, the teachers, whose date of birth was falling prior to 31st March and have attained the age of superannuation prior to 1st April 2015 have also claimed session benefit till the end of academic session i.e. 31.3.2016 by way of filing petitions. Ultimately, the controversy was settled by the Hon'ble Division Bench on 20.7.2015 in Special Appeal Defective No. 492 of 2015 (Bhajan Lal Diwakar Vs. Bani Singh Thakurela and others), wherein taking note of Amended Regulation 21 of Chapter III of the Regulations framed under the Act of 1921, it was held that the teachers, who have attained the age of superannuation prior to 1.4.2015 will not be entitled to further extension in service until 31.3.2016. "In the present case, the first respondent attained the age of sixty two years in the month of July 2014. Under the unamended Regulation 21, since the date of retirement of the first respondent fell within the midst of the academic session, he was allowed to continue as a Lecturer until 30 June 2015. The first respondent continued on that basis until 30 June 2015. What the first respondent seeks, essentially is a further extension in service until 31 March 2016 which, in our opinion, would be impermissible. The benefit of such an extension under the amended regulation would clearly not be available to a teacher in the position of the first respondent who had already attained the age of superannuation prior to 1 April 2015. The first respondent had already availed of the continuance in service until the end of the academic session, which according to the unamended regulation, was to come to an end on 30 June 2015. The State Government by a Government Order dated 25 May 2015, clarified that such an employee would continue until 30 June 2015. In other words, the first respondent would not be entitled to a further extension in service until 31 March 2016. The learned Single Judge has, in our opinion, erred in coming to the conclusion that the first respondent was entitled to an extension in service beyond 30 June 2015. Though in holding this, the learned Single Judge has relied on an earlier interim order, once the first respondent had duly availed of the extension till the date of effective retirement, which was to take place on 30 June 2015, there was no warrant for the grant of any further benefit to him. Amended Regulation 21, it must be noted, speaks of the date of retirement. In the case of the first respondent, the date of retirement would have been in July 2014. The date of retirement is not postponed to 30 June 2015 and all that happened as a result of the operation of the regulation is a continuance in service being granted beyond the age of retirement, so as to ensure that the academic interests of the students are not disrupted. That does not have any effect of postponing the original date of retirement of the first respondent, which was in July 2014." 7.A reference may also be made in this regard to a judgment rendered by Hon'ble Division Bench in its judgment dated 24.7.2015 in Special Appeal No. 483 of 2015 (Dulare Lal and another Vs. State of U.P. and others). On the basis of judgment in Bhajan Lal Diwakar's (supra) case I have also dismissed several writ petitions wherein age of superannuation was falling prior to 1st April 2015. 8.Now, the present controversy is only in relation to the teachers, whose date of birth is falling between 2.4.1953 to 1.7.1953 where the age of superannuation is 62 years and where the date of birth is falling between 2.4.1955 to 1.7.1955 where the age of superannuation is 60 years and national or state awardees as already noted above. 10.The words of amended regulation 21 are very much categorical and clearly indicate that date of superannuation is not postponed or extended but employees are only granted extension until the end of academic session, if they are superannuating between 2nd April and 31st March. 11.Therefore, in view of the aforesaid legal situation petitioners governed by Act of 1921 and Regulations framed thereunder are entitled for extension in service till the end of academic session i.e. 31.3.2016 as by virtue of this date of birth they are working during academic session 2015-16 in normal course and would, therefore, in the light of Amended Regulation 21, be entitled of continue in service until the end of academic session i.e. 31.3.2016. "........However, a teacher who attains the age of superannuation during academic session 2015-16, as modified, and who has not taken the benefit of the proviso to Rule 29, would be entitled to continue in service until the end of the academic session which would be 31 March 2016. The Government Orders which have been issued from time to time, more particularly on 9 December 2014 and 29 June 2015 have to be necessarily brought in line with the mandatory requirements of the proviso to Rule 29. As we have observed earlier, the power to alter the academic year undoubtedly vests with the Government but having once altered the academic year, the consequence which is envisaged under the proviso to Rule 29 must ensue. The State Government cannot by a government order override the proviso to Rule 29. That is part of subordinate legislation which cannot be simply disregarded by an administrative order. On the facts of the present special appeal, the dates of superannuation of the four respondent teachers would respectively be 1 June 2015, 27 May 2015, 4 June 2015 and 30 June 2015. All these teachers worked in academic session 2015-16 commencing from 1 April 2015 in the normal course, without taking the benefits of the proviso to Rule 29. Since the dates of their retirement fell in the midst of the academic session, they would plainly be entitled to continue in service until the end of the academic session, as envisaged in the proviso to Rule 29......"
13.In such view of the matter not only the teachers, who are governed by the Act of 1921 and the regulations framed thereunder but also the teachers, who are governed by the Act of 1972 and Rules of 1981 are also entitled for such extension in service till the end of academic session i.e. 31.3.2016. 14.In view of the decision of the Hon'ble Division Bench in Bhajan Lal Diwakar (supra) and Dulare Lal (supra) and in view of the judgment of Hon'ble Division Bench in State of U.P. and others Vs. Ramesh Chandra Tiwari and others (supra) the present bunch of petition stands disposed and it is held that the petitioners, whose date of birth is falling between 2.4.1953 to 1.7.1953 where the age of superannuation is 62 years and whose date of birth is falling between 2.4.1955 to 1.7.1955 where the age of superannuation is 60 years and national or state awardees as already noted above, as the case may be, and whose date of superannuation is falling after 1st April 2015 are entitled to continue in service till the end of academic session i.e. 31.3.2016 as such their petition stands allowed. The benefit of academic session till 31.3.2016 is denied to such teachers/petitioners, who have already attained the age of superannuation prior to 1st April 2015 and as such their petition stands dismissed. 15. In the present case the date of birth of the petitioner is 20.6.1953 hence the present petition stands allowed. 16.For the reasons and discussions made hereinabove the bunch of writ petitions stand disposed of accordingly.